I design & build websites. I also review local coffeehouses. A blog I started to review local coffeehouses. 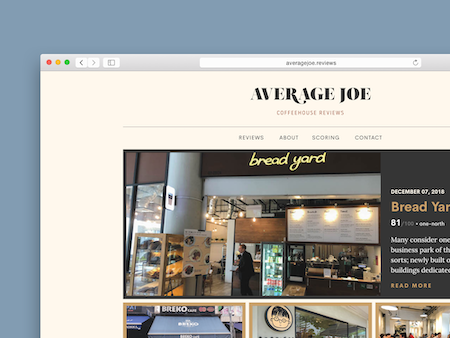 Unlike your usual café review blog, Average Joe was created to describe the complete café experience that most café-goers care about. 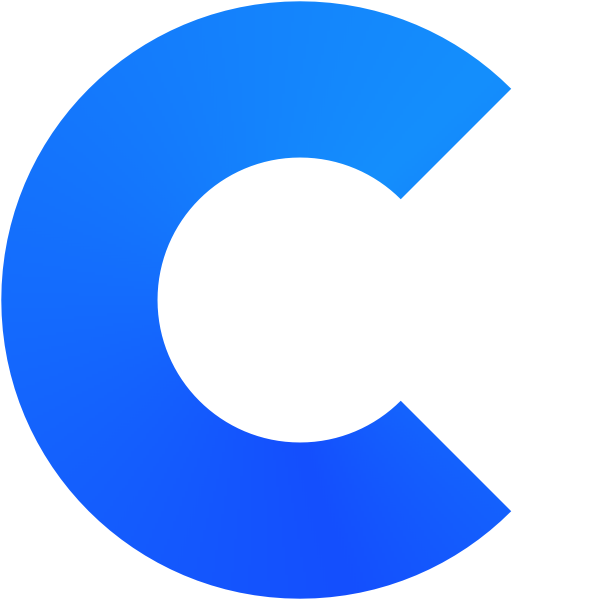 A theme for Jekyll, a popular blog-aware, static site generator. I created it for a friend who wanted to showcase his short stories online. It has a minimal and responsive design. 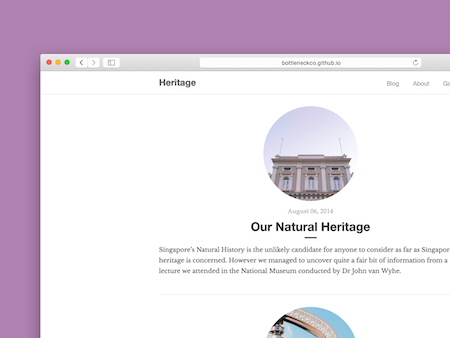 A blog curated to document my team's journey into discovering Singapore's heritage. Through our insights, we hope to help people better understand our heritage. 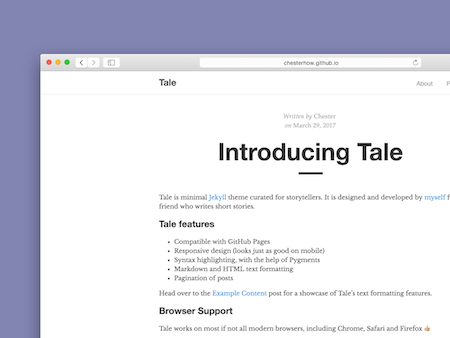 Made with Jekyll using the Tale theme. 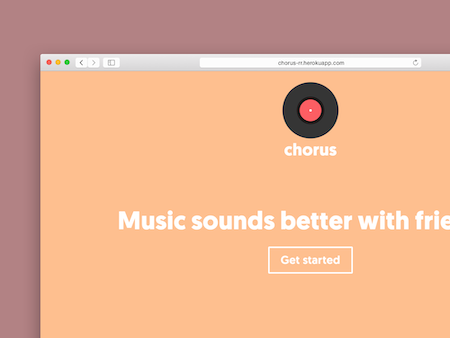 A web app for listening to music with friends in real-time. It works like an online radio channel where everyone hears the same song at the same time. Conceptualised, designed and built during a 48 hour hackathon.